Here we go. For all you on the go coffee lovers out there, we’ve done it. We’ve compiled our top 5 best coffee thermos selection out there. This is a relatively lightweight, durable and versatile thermos that keeps coffee hot for up to six hours. Made from high quality, type 304 (i.e. food-grade) stainless steel and lined with copper, the Kuuk is easy to clean and weighs in at less than 13oz. It features a wide 71mm mouth (for easy sipping!) and double-walled vacuum insulation technology. In addition to keeping your coffee hot, it will also keep your cold brew nice and chilled. The thermos is well-designed for portability, with a flip top and leak-proof lid to prevent spillages, while the rubber grip makes it easy to keep a tight hold of the mug when you’re on the move. 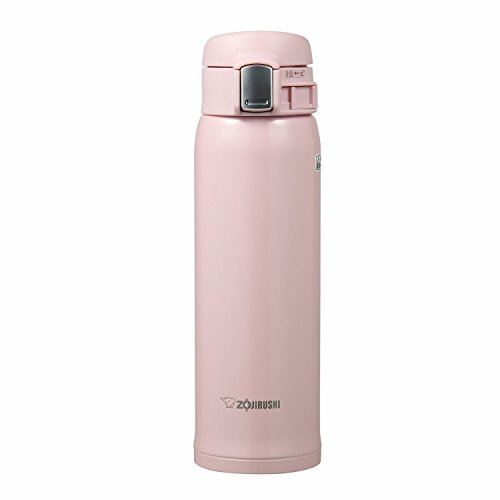 This is a modern-looking, good value thermos mug that comes in a neutral blue-ish gray with a coordinating lighter colored handgrip and lid, making it suitable for a range of users and uses. If you want to get away from single-use, environmentally unfriendly coffee shop take-out cups, this would make a good reusable alternative. It is sold new with a five-year manufacturer’s warranty. Especially good for? Those busy ‘on the go’ mornings when you need to fill up your thermos with coffee and head out the door for the daily commute. The handsome, slim-line Kona is made from titanium alloy steel and weighs in at a very lightweight 8oz. It is an extremely durable, vacuum insulated travel mug that promises to keep drinks hot or cold almost indefinitely. It features a very handy spring-loaded, push-button flip drinking lid, which means you can easily take a drink on the move and then securely lock it back into place, preventing accidents and spills. The lid itself has a locking clasp that, again, ensures it stays firmly in place until it is manually released. The Kona comes in a range of colors – black, white, red and blue – and the simple design makes it an attractive accessory for yourself, or a nice gift for someone else. The outside of the Kona looks smooth, but actually has a textured, powder-coated finish for easier gripping. It fits into car cup-holders and the slim design also makes it suitable a range of outdoor needs, such as camping or biking. Especially good for? Keeping your drinks hot (or cold) while out on a long hike, bike ride or road trip. The durable Tiger vacuum insulated mug keeps drinks hot (make that super-hot) for hours. According to the manufacturer, the mug keeps liquids at 189F for one hour and 160F for six hours. It also works well for cold drinks. The Tiger is an attractive, slim-line, lightweight (8oz) travel mug that comes with some handy features. These include a 1.7-inch wide mouth and a plastic cover around the mouth of mug which contributes to hygiene and the anti-spill functionality. The mug is double insulated, meaning the liquid doesn’t heat up or cool down the outside surface, making it comfortable to hold. The Tiger comes in a range of eye-catching colors, including bright lime green and pink. There is also a plain gray stainless steel option. Especially good for? School, the gym, or anytime you want a stylish solution for taking your coffee out and about with you. The most expensive option on our list (at full recommended retail price), the Homitt is made from food-grade stainless steel and double wall vacuum insulated. (Check out the latest prices and discounts!) This is an extremely durable travel mug that promises to keep your drinks hot for between six and eight hours (or cold for up to 24 hours). What makes this product extra special is its versatility. It comes with two curved metal straws, a cleaning brush, and best of all…a removable plastic handle! This makes it even more convenient for enjoying your coffee on the go. Weighing in at 1.1lbs, the Homitt is not as lightweight as some on this list, but the manufacturer claims it is sturdy enough to withstand heavy drops and bangs. The mug features a wide mouth for easy drinking and an anti-leak sealed lid. It is also larger than our other options. If you want to enjoy an icy mug of cold brew instead of hot coffee, you can fill the Homitt with ice and pour in your 12oz beverage when you’re feeling thirsty. The Homitt comes in a single, silver steel color option with the handle available only in black. Especially good for? Enjoying some icy cold brew in the great outdoors. All the products we’ve discussed here have impressive reviews on Amazon; however the Zojirushi boasts nearly 2,400 (to date) and retains a five-star rating. Not bad for a simple insulated mug! The Zojirushi is made from stainless steel and features a non-stick coating. The stopper fully disassembles for easier and more hygienic cleaning. This is another handsome-looking product that promises to keep liquids hot (or cold) for hours. It’s also worth noting the Zojirushi comes in a range of colors and sizes (12, 16 and 20oz) to suit a variety of needs, and you can also buy the 16oz as set of two (one black and one pink). This would be perfect if you want separate mugs for coffee and tea, for example, or if you want to keep one at home and one at work. They would also make a nice gift. Especially good for? Keeping your coffee hot during those long work days when you keep getting called away from your desk and get tired of coming back to a tepid brew! It’s one thing to keep brewed coffee warm; it’s another to be able to brew fresh coffee on the go and keep it warm. The clever people behind mojoe have come up with a unique mobile brewing system that lets you do just that. The mains or battery-powered brewer heats any temperature water (even cold, straight from a bottle) to around 195F and combines it with coffee (or tea/hot chocolate) on demand. Until the unit is turned on, the coffee and water are stored in separate reservoirs. 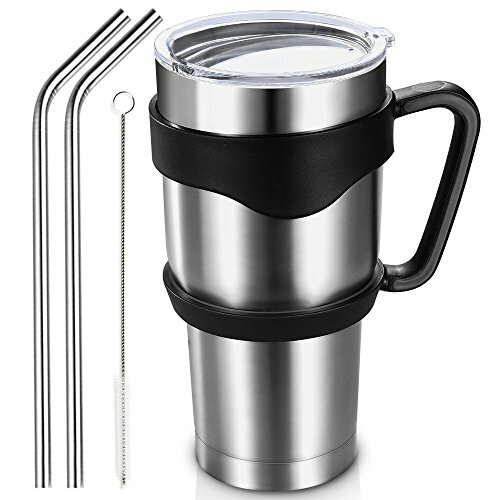 The brewed drink is then filtered (via a reusable, replaceable mesh filter) into the insulated mug below, from which you can drink directly. The slim-line single serve brewer fits into car cupholders. It is predominantly black and gray, but features a colored hand grip (several options available). It brews up to 8.5oz of coffee at a time. Especially good for? Enjoying freshly brewed hot coffee anytime you find yourself out of reach of a café or coffee maker! So there you have it. If you love your coffee and need it to go, there’s the rundown of the best coffee thermos selection out there!